During the final meeting with His apostles – His friends and followers – Jesus gathered to celebrate Passover. He performed the ordinance of the washing of feet. Jesus broke bread and drank wine in sacrament with His disciples. He sent one off who would betray Him and then taught the apostles significant doctrines. Only after Judas departed did the real teaching and blessings begin. What the Savior taught during these late hours is covered in just over four chapters in the book of John – one fifth of a book covering three years of Jesus’s ministry. That so much of the book of John focuses on this time is one indication of the importance of what Jesus taught before His atoning suffering in Gethsemane and His death upon the cruel cross. The key verse here is “And this is life eternal, that they might know thee the only true God, and Jesus Christ, whom thou hast sent.” (John 17:3). Life eternal is knowing God the Father and Jesus Christ. As we strive for eternal life we must strive for a knowledge of God. We must not only know of Him but also truly know Him. The better we know Him the more we love Him. How can we fully love something we do not understand? How can we truly love someone we do not know? The more familiar we are with someone, the more we understand and love that person. Joseph Smith’s First Vision was a light in the darkness of knowledge about God the Father and His Son Jesus Christ. Joseph had clear evidence that the Father and the Son are distinct beings. One of the implications of this knowledge is that we have a special relationship to God (He is our Father, not just the Savior’s) and we can, through the grace of Christ, become more like Him. We are His children and as His children we can grow and develop, gaining attributes of our Divine Parent. Most of Christianity, at least in formal theology, believes that Jesus Christ is not a separate Being from the Father – a distinct manifestation but not a separate physical Being. If our Heavenly Father and Jesus Christ are separate individuals – They are! – and if Christ is the Son of God – He is! – then all children of our Father have the potential to become more like Christ. The Savior prayed to His Father in the last hours of His mortal ministry: “Neither pray I for these [His Apostles] alone, but for them also which shall believe on me through their word; That they all may be one; as thou, Father, art in me, and I in thee, that they also may be one in us: that the world may believe that thou hast sent me. And the glory which thou gavest me I have given them; that they may be one, even as we are one.” (John 17:20-22). Christ is the Son of God; we are children of God. Because we are God’s children we can be, as ancient and modern prophets and apostles teach, joint-heirs with Christ of all that our Father has! To the Romans Paul taught: “And if children, then heirs; heirs of God, and joint-heirs with Christ; if so be that we suffer with him, that we may be also glorified together.” (Romans 8:17). That is quite a promise! Christ pled that His Father would bless His apostles and all those who believe and follow Christ’s teachings with the same oneness that He and the Father share. This does not diminish the power or authority of God or Christ – for their power and authority are endless and eternal. Rather, it shows our true relationship to God; we are His children and He loves us not just as a perfect God but as a perfect Father. This is all what was so revolutionary about what was re-taught in bright clarity to the world when Joseph Smith, a young man of 14, saw God the Father and His Son Jesus Christ. It upended not only the world’s misconceptions of the nature of God but also of the world’s misconceptions of the divine potential of men and women, even though that potential would not be understood for years. There is a trick of the vision called afterimage where when looking away from an object (usually a bright object such as a light bulb), there is an image that appears to float in front of our eyes. This image “burn in” is caused by using up too much of the pigment chemicals in the eyes, which then regenerate slowly. To get an afterimage, stare at a lightbulb for a couple seconds and then look away. Afterimages occur when you focus intently on an object with high contrast or brightness. This process often results in a negative afterimage (like camera film negatives) but bright lights can create positive afterimages where the brightness of the light appears to still be there when you look away. In other words, when staring at bright lights, we continue to have that light before our eyes even when looking away. These afterimages last just for seconds but are reminders of the light that was before us. Before we were born we all lived with our Father in Heaven. We saw His radiance, we felt His glory and presence, and were filled with His light; it was continually before our eyes. We knew His Spirit and saw His burning glory. Joseph Smith described the brightness of God’s glory as being greater than the sun: “I saw a pillar of light exactly over my head, above the brightness of the sun, which descended gradually until it fell upon me. It no sooner appeared than I found myself delivered from the enemy which held me bound. When the light rested upon me I saw two Personages, whose brightness and glory defy all description” (JS-H 1:16-17). In another account of his First Vision, Joseph Smith stated that it appeared as if the trees surrounding the Father and the Son were on fire. This is why Isaiah stated that the Lord lives in “everlasting burnings” (Isa. 33:14). God’s glory is light and a purifying fire. We are not left utterly naked when we come to earth. We have the afterimage of our pre-earth life given to us by light of Christ. We have remembrances of old light and the giving of new light unto us through the promptings of the Holy Ghost, which all people feel at some point. The test is whether or not we accept and act upon those burnings. As with visual afterimages, if we do not look to the Light, if we turn away from God in our sins and do not turn to face Him again in repentance, the light of Christ fades from our lives, becoming the light of common day, and we lose the spiritual afterimage that is our intimation of our immortality. It is imperative that we seek out this light and replenish Christ’s image in our lives by constantly looking to God. We can have a personal, loving, relationship with God our Father here on earth just like the one we had with Him before we were born on earth. A simple experience I had last year reminds me of the personal nature of God’s love for us. As I was praying, just seconds into a prayer, my infant son started crying in the other room. I asked my Father if He would please excuse the interruption to the prayer because my son needed me and then I closed the prayer. I had the distinct impression that my Eternal Father understood completely. My concern for my son mirrored His concern for me, for you, and for all His sons and daughters. That is the nature of God – He is our Father; He loves us; He watches over us. He knows us and wants us to have joy. God hears and answers our prayers. Sometimes that answer is “no” but God knows what we need. God the Father wants His love to fill our homes. As we fill our homes with His light and love they are fortified against the wickedness of the world. Our Father’s love stands as sentinel against evil that strives to destroy homes and families. God’s commands are gentle, His precepts are kind. Our cares, our burdens, our anxieties find sweet refreshment at His throne (see Hymn #125, How Gentle God’s Commands). Remembering that God is our Father helps us to know that all He does for us is to help us grow. All He does is out of love and concern for us. He is perfectly loving and kind so His children’s sins, transgressions, hate, anger, and pain all hurt Him abominably. As God is gentle and kind, so should we be gentle and kind! As we strive to return home to our Father may we retain in our minds the words of the hymn “Oh My Father”: “When I lay this mortal by…may I meet you in your royal courts in high? Then, at length, when I’ve competed all you sent me forth to do, with your mutual approbation let me come and dwell with you.” May we emulate our Father’s love and righteousness so we may return and dwell with Him. Jesus is the source of wisdom, love, might, and grace. He is our Exemplar on how to become more like God. Becoming like God is a process. None of us is perfect; we are fallen, living in a fallen world. We are in an embryonic stage, trying to grow up and control these wonderful but mortal bodies. Sometimes we sin, sometimes we turn away from God, sometimes we forget who we really are. All of us, in the grand council of heaven, subjected our spiritual bodies and wills to the will of the Father; that is why we are here in mortality – we said in shouts of joy, “I will follow God’s plan for me!” Now as mortals we are trying to subject our physical bodies to the will of the Father – truly a difficult task. Just as in the premortal world, the mortal Christ was the consummate example. He subjected His will completely to His Father’s; this surrendering of His will culminated with His death on the cross and His triumphal resurrection from the tomb in the ultimate act of love. Of all the roles of the Savior, one of the greatest is that of healer. He healed in Galilee, He healed from the garden, He healed from the cross, and He healed from the tomb. Jesus offers hope and healing to all – to those who stray, to those who don’t, and to those who mourn. Isaiah tells us that the Savior: “bind[s] up the brokenhearted [and] proclaim[s] liberty to the captives, and the opening of the prison to them that are bound…. [He] comfort[s] all that mourn; [and] appoint[s] unto them that mourn in Zion [and] give[s] unto them beauty for ashes, the oil of joy for mourning, the garment of praise for the spirit of heaviness; that they might be called trees of righteousness, the planting of the Lord, that he might be glorified” (Isaiah 61:1-3). In these tender verses we learn of Christ’s role as healer; we learn of His great love for us. He pours forth the olive oil of mercy unto those in need and He comforts those who mourn: “And God shall wipe away all tears from their eyes; and there shall be no more death, neither sorrow, nor crying, neither shall there be any more pain: for the former things are passed away” (Rev. 21:4). Jesus once of humble birth, a meek and lowly lamb who groaned in blood and tears, forsaken, left alone descended below all so that He might understand and rise above all. He will return to earth to rule and reign (see Jesus once of humble birth, Hymns #196), having overcome the world. What a time that will be. I am grateful for living prophets who speak His words and who act under His direction. Through the witness of the Holy Ghost our testimonies of the Savior are strengthened. The Spirit of God burns like fire to teach us right and bind our hearts to God. In this church we have the precious gift of the Holy Ghost – the promise and blessing that He can be with us always as we do what is right. I’ll always remember what it was like to receive the gift of the Holy Ghost. I was baptized and confirmed a member of The Church of Jesus Christ of Latter-day Saints when I was eight years old. I wrote in my journal that I felt warm and not just because it was in Arizona in the summer. The Holy Ghost blesses us with warmth and peace. At that early age I learned of the power of the Holy Ghost and of the consequences of sin. Before I was baptized I remember doing something I was not supposed to do but really did not have a strong feeling that it was wrong – I think I only realized it was wrong in hindsight. When I did the same thing after I was baptized I knew immediately it was wrong, I felt compelled to fall to my knees and ask Heavenly Father for forgiveness. That is the power of the Holy Ghost – He teaches us right from wrong and helps us know how we can be better. He warns us; He comforts us. The Holy Ghost gives us a new, soft heart. No more will we be afflicted with spiritual stenosis, we can have a strong, soft heart sensitive to the Spirit. We can teach others how to recognize that Spirit and receive it into their hearts. This is a responsibility we have to our families, to our visiting or home teaching families, to those we teach at church – the responsibility of helping others recognize the Spirit of the Lord. Through the gift of the Holy Ghost we can know the path back to our heavenly home. I know that God lives! He loves us and wants us to return to live with Him. I know that Jesus lived, died, and lived again so that each of us might be healed. This testimony has been given to me by the Holy Ghost who teaches truth and illuminates the path back home. To testify is to declare a belief about, of, or in something. Testifying is the declaration of a fact or a truth – stating something that you know is true. The word testimony is a noun, which means that testimonies can be acted upon; someone possesses a testimony and can share it. The word testimony comes from the Latin word meaning witness. It is also related to the Latin words for three and stand, implying that a witness stands as another – particularly a third – witness.We are taught in the Old Testament, New Testament, and Doctrine & Covenants that the Lord’s pattern is for multiple witnesses to establish truth. Incidentally, testament is the same word as testimony; a testament is also a covenant. So we have an Old Covenant, a New Covenant, and a latter-day Doctrine and Covenants with, of course, the Book of Mormon standing as a special testament of Jesus Christ (and a special covenant between God and the remnants of the people of Lehi). All books of scripture serve to co-establish the truths contained within each other book; this includes God’s word, which shall be established by multiple witnesses (two or three; see Deut. 19:15; Matt. 18:16; D&C 6:28). We have multiple witnesses at church. Bro. [Smith] and I are visiting by assignment from the stake presidency to teach truths; the Holy Ghost also bears witness of the truths we share and the testimonies we bear. We are establishing truth through three witnesses. Even members of the Godhead, though united in testimony, purpose, and glory, serve as multiple witnesses. When Jesus Christ was baptized, His Father bore witness to John the Baptist saying, “This is my beloved Son.” The Holy Ghost also descended like a dove as a sign to John of the divinity of Jesus Christ. God’s pattern for testifying of His truths is well-established. When Alma and Amulek preached in the land of Ammonihah, the people were amazed that two missionaries bore testimony: “And now, when Amulek had spoken these words the people began to be astonished, seeing there was more than one witness who testified of the things whereof they were accused, and also of the things which were to come, according to the spirit of prophecy which was in them” (Alma 10:12). This is one reason our missionaries go out two by two – there are multiple people to bear witness, to share their testimony of the truths of the gospel. We gain knowledge about testimonies and how we gain one by listening to the Lord’s apostles. 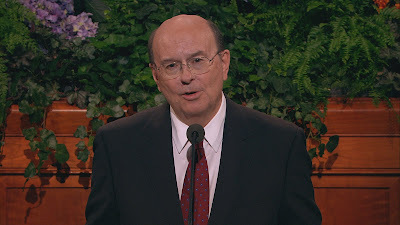 In the October 2001 General Conference Elder Richard G. Scott gave this powerful teaching about testimony: “A strong testimony is the sustaining power of a successful life. It is centered in an understanding of the divine attributes of God our Father, Jesus Christ, and the Holy Ghost. It is secured by a willing reliance upon Them. A powerful testimony is grounded in the personal assurance that the Holy Ghost can guide and inspire our daily acts for good. A testimony is fortified by spiritual impressions that confirm the validity of a teaching, of a righteous act, or of a warning of pending danger. Often such guidance is accompanied by powerful emotions that make it difficult to speak and bring tears to the eyes. But a testimony is not emotion. It is the very essence of character woven from threads born of countless correct decisions” (Ensign, Nov. 2001, Scott; emphasis added). Let me repeat: “[A testimony] is the very essence of character woven from threads born of countless correct decisions.” A testimony is based on the goodness of our lives, of our characters, and our actions. Our testimonies are strengthened as we live in accordance to the principles and ordinances of the gospel. That is the only way to gain a testimony! Live the gospel principles that you want to gain a testimony of. If you want to have a testimony of tithing, pay it! If you want to have a testimony of Jesus Christ, follow Him! If you want to have a testimony of the Book of Mormon, read it and pray about it! We are taught in Alma 32 to “experiment upon the word.” As we test what God has told us, we can know of its truth. “But behold, if ye will awake and arouse your faculties, even to an experiment upon my words, and exercise a particle of faith, yea, even if ye can no more than desire to believe, let this desire work in you, even until ye believe in a manner that ye can give place for a portion of my words” (Alma 32:27; emphasis added). With these words, the prophet Alma taught the poor and outcast how they could develop faith. These humble people were struggling with their faith so Alma taught them how to increase it. My words are particularly directed at those who do not have a testimony or those who feel like they have a weak testimony. I pray that all may benefit. The word experiment is only found in the scriptures five times. One of those is in the New Testament (see 2 Cor. 9:13). The other four uses of the word experiment are all found when Alma and Amulek taught the Zoramites. Alma developed an analogy of faith as a seed, encouraging those who listened to plant the seed of faith in their hearts then nurture it and watching it grow. My wife Kristi and I recently taught this principle to our children. We talked about the seed of faith and how by nurturing it, it will grow. Then we planted actual seeds and, as we cared for them, watched them sprout and grow tall. We are still nurturing the plants as we wait for them to bear fruit. We build faith and testimonies the same way – it takes work and time. Alma taught the humble Zoramites to experiment upon the word of God, almost like performing a science experiment. I am a brain scientist by profession and so I spend much of my time doing science. A foundation of modern science is to seek to discover facts that we hope lead to truth. Scientists study facts, which may or may not be true, by studying what can be observed or indirectly measured. I’m interested in understanding what will happen to the brain as someone gets older or what happens to a person’s brain after a major surgery. My goal as a scientist is to discover things through observation or experimentation that I hope are true and that will help people. While it is not possible to look at a person’s brain directly, I can give tests that measure how well it works. I can also use a machine to take pictures or movies of it. In some ways, Alma’s faith experiment is similar to a science experiment. For one, Alma tells the people to look for evidence of the growth of faith – sometimes this evidence is not what we expect or is not immediately clear, “Now, we will compare the word unto a seed. Now, if ye give place, that a seed may be planted in your heart, behold, if it be a true seed, or a good seed, if ye do not cast it out by your unbelief, that ye will resist the Spirit of the Lord, behold, it will begin to swell within your breasts; and when you feel these swelling motions, ye will begin to say within yourselves—It must needs be that this is a good seed, or that the word is good, for it beginneth to enlarge my soul; yea, it beginneth to enlighten my understanding, yea, it beginneth to be delicious to me. Now behold, would not this increase your faith? I say unto you, Yea; nevertheless it hath not grown up to a perfect knowledge. But behold, as the seed swelleth, and sprouteth, and beginneth to grow, then you must needs say that the seed is good; for behold it swelleth, and sprouteth, and beginneth to grow. And now, behold, will not this strengthen your faith? Yea, it will strengthen your faith: for ye will say I know that this is a good seed; for behold it sprouteth and beginneth to grow” (Alma 32:28-30). Alma told people to not cast the seed of faith out and not resist the Spirit of the Lord; if they accepted the seed, they would feel and understand the seed. They would be enlightened and filled. The seed, with nourishment, would grow into a tree producing fruit of light and purity, fruit which never spoils and is without end. In a scientific experiment, the scientist usually makes a prediction and then tries to show that it is wrong. That’s how many doctors diagnose illnesses – they believe the symptoms might be one thing but they have to rule out other causes. A faith experiment is not quite like this. In a faith experiment we plant a seed, nourish it, and care for it; we don’t try to kill the seed of faith and then, if it survives, call it a good seed – that’s science. We don’t try to explain away feelings and faith as wishful thinking. We do all we can to try to show that the seed is good – because it is. There are many witnesses of the truth of God. The key is to believe and come to a knowledge for ourselves. We do not need to prove that God exists or that the gospel is true – He does and it is; the gospel is not on trial, we are! We should not fight faith, we nurture it. Neither should we sow the seed of doubt in our own minds or those of others. Or, as Pres. Uchtdorf said, “Doubt your doubts before you doubt your faith.” (October 2013 General Conference). To those of you who are struggling in your testimonies – embrace what you have and help it grow by living the doctrines in the scriptures and taught by God’s living prophets. A part of faith is hope or belief but faith is much more than that. Thomas Hobbes explained faith in his work Leviathan: “But what (may some object) if a King, or a Senate, or other Soveraign Person forbid us to beleeve in Christ? To this I answer, that such forbidding is of no effect, because Beleef, and Unbeleef never follow mens Commands. Faith is a gift of God, which Man can neither give, nor take away by promise of rewards, or menaces of torture.” (Hobbes, Leviathan, iii. xlii. 271; spelling and punctuation not modernized). “Faith is a gift of God.” It’s not a gift we give to God – the gift we give God is integrity to the faith we have received. We believe in Him even though we don’t see Him. We believe, hope, and trust our Eternal Father. Faith transcends belief. Faith is a gift from God. As Paul wrote, faith is an assurance of things hoped for and evidence of things not seen. That means faith is given to us as proof that our beliefs in God are good and true. Belief and good works lead to faith. Referring back to Alma’s analogy of the seed – we have desires to believe and then we plant the seed of faith. We do not create this seed, it is a gift from God. That seed must be planted and then not cast out by unbelief. To help the seed to grow we have to believe and trust and follow the Lord’s commands. As we do this, we are blessed with further evidence – with more faith – as we see the seed grow, sprout, and produce good fruit. It is important to recognize that faith is the evidence or proof of God’s love that we desire; it is a great and wonderful power. Many times we feel like we are acting “just with faith” until we receive proof – some big spiritual manifestation that will remove the need for faith. But faith is exactly the proof we are looking for. How many times do we believe, trust, hope, and experiment upon the word but overlook our growing faith as evidence of God’s love because we’re so busy looking for something bigger – an angel or a clear sign from heaven? So often we seek for signs without realizing that faith is the answer to our prayers and the reward of our righteousness. Faith is a glorious gift from God. As Moroni wrote on spiritual gifts: “And to [some is given] exceedingly great faith” (Moroni 10:11). Faith comes of and by the Spirit of the Lord. I have not forgotten that feeling more than a decade later. That was one of the singularly important moments in my life. I have always believed Joseph Smith was a prophet. That’s not something I have ever doubted. My testimony of his calling as a prophet was based on years of going to church, reading the scriptures, praying, and learning about him. I saw and partook of the fruits the Lord restored through him to the earth. However, before that time I had not had a powerful experience like the one I had that evening as a missionary. That does not mean I did not have a testimony before – I did – but it was strengthened by that experience. How did I gain this witness? What I did not write at the time was how I had been reading my scriptures and praying with a sincere earnestness that I would receive a witness of the gospel. The Spirit I received while teaching Sarah did not come out of the blue, although that can happen; testimonies are most often gained through mighty prayer and righteous living. Sometimes – or most times – we must wrestle in prayer as we seek a witness of the gospel. The Spirit I received while teaching Sarah did not come out of the blue, although that can happen; testimonies are most often gained through mighty prayer and righteous living. Sometimes – or most times – we must wrestle in prayer as we seek a witness of the truths of the gospel. A strong testimony can take years of effort or it might come quickly but for those who seek it, it will come. Even if it takes a long time, God blesses us richly along the path to testimony. For any who want to receive a witness of the truthfulness of the gospel, Elder Scott, one of the Lord’s apostles, offers His counsel: “Try reading the Book of Mormon because you want to, not because you have to. Discover for yourself that it is true. As you read each page ask, ‘Could any man have written this book or did it come as Joseph Smith testified?’ Apply the teachings you learn. They will fortify you against the evil of Satan. Follow Moroni’s counsel. Sincerely ask God the Father, in the name of Jesus Christ, with real intent, if the teachings of the Book of Mormon are true (see Moro. 10:3–5). Ask with a desire to receive a confirmation personally, nothing doubting. There has to be an explanation of that book you can hold in your hand. I know that you can receive a spiritual confirmation that it is true. You will then know that Jesus Christ lives, that Joseph Smith was and is a prophet, and that The Church of Jesus Christ of Latter-day Saints is the Lord’s Church. You will confirm that the Savior guides His Church through a living prophet. These truths will become a foundation for your productive life.” (Elder Scott, Ensign, November 2003). Most importantly, a testimony helps you draw near to Jesus Christ and partake more fully of His grace. One final example of how to gain or strengthen a testimony is in the Book of Mormon. We read in Alma 17 of an encounter between Alma the younger and his friends, the sons of King Mosiah. They had not seen each other for years. “Now these sons of Mosiah were with Alma at the time the angel first appeared unto him; therefore Alma did rejoice exceedingly to see his brethren; and what added more to his joy, they were still his brethren in the Lord; yea, and they had waxed strong in the knowledge of the truth; for they were men of a sound understanding and they had searched the scriptures diligently, that they might know the word of God. But this is not all; they had given themselves to much prayer, and fasting; therefore they had the spirit of prophecy, and the spirit of revelation, and when they taught, they taught with power and authority of God.” (Alma 17:2-3). The sons of Mosiah demonstrated the foundation for developing great faith and a strong testimony – search the scriptures diligently to learn the word of God and spend much time in prayer and fasting. By doing those things, our testimonies will grow. But as Brigham Young said, “More testimonies are gained on the feet than on the knees.” It’s important to live what we read and pray. I add my testimony to that of the prophets that all can receive a witness of the truthfulness of the gospel. We can all know that Joseph Smith was a prophet, that the Book of Mormon is God’s word. We can know that Jesus is Divine, the Only Begotten Son of God, our Savior and Redeemer. We can know that God has a plan for each of us and that plan is to return to live with Him again and to someday see Him as He really is. I have not had an angel appear to me like the sons of Mosiah and Alma the younger but I have had something better; I have had the Holy Ghost – a member of the Godhead – witness unto me the truth of the Scriptures and the truth of the restored gospel. This is a miraculous witness that is no less miraculous than the visible ministering of angels. Today a man participated in blessing the sacrament. He struggled to read the words of the prayer and his enunciation was not flawless but the sheer effort it was for him to say the prayer made it more meaningful for me. I’ve heard many bright young men fly through the sacrament prayer as if they are participating in a verbal sprint. That always comes across as disrespectful, even if it’s unintentionally so. Contrast that with the effort it took this man to say the prayer, with the struggle he had to say the words, and I’ll take his prayer any day over a flawless brisk reading. This reminds me of a testimony shared recently by an older brother who had difficulty standing and whose primary language was not English. His effortful and simple testimony was powerful, one of the most powerful I’ve heard in a while. This experience reminds me of Brigham Young’s conversion. He said, “If all the talent, tact, wisdom, and refinement of the world had been sent to me with the Book of Mormon, and had declared, in the most exalted of earthly eloquence, the truth of it, undertaking to prove it by learning and worldly wisdom, they would have been to me like the smoke which arises only to vanish away. But when I saw a man without eloquence, or talents for public speaking, who could only say, ‘I know, by the power of the Holy Ghost, that the Book of Mormon is true, that Joseph Smith is a Prophet of the Lord,’ the Holy Ghost proceeding from that individual illuminated my understanding, and light, glory, and immortality were before me. I was encircled by them, filled with them, and I knew for myself that the testimony of the man was true.” (Brigham Young discourse, June 13, 1852, JD 1:90; as cited by Larry Porter). The Spirit, not eloquence, makes a powerful talk or testimony. Sometimes those who struggle the most teach the best. In order to participate in President Monson’s call to hasten the work of salvation and rescue those who are lost, we must develop and maintain a testimony of the gospel of Jesus Christ. To testify is to declare a belief about, of, or in something. It is to declare our knowledge of truth. The word testimony comes from a Latin word meaning witness. It is also related to the Latin words for three and stand, implying that the witness stands as a third or third-person (and therefore independent) witness. We are taught in the Old Testament, New Testament, and Doctrine & Covenants that the Lord’s pattern is for multiple witnesses to establish truth. Incidentally, testament is the same word as testimony; a testament is also a covenant. So we have an Old Covenant, a New Covenant, and a latter-day Doctrine and Covenants with, of course, the Book of Mormon standing as a special testament of Jesus Christ (and a special covenant between God and the remnants of the people of Lehi). All books of scripture serve to co-establish the truths contained within each other book. All of God’s word is established by multiple witnesses (Deut. 19:15; Matt. 18:16; D&C 6:28). The Godhead, though one in witness, purpose, and glory, constitute multiple witnesses. When Jesus Christ was baptized, His Father bore witness to John the Baptist saying, “This is my beloved Son.” The Holy Ghost also descended like a dove to bear witness to John of the divinity of Jesus Christ. When Alma and Amulek started preaching to the people in the land of Ammonihah, people were astonished that two people bore witness unto them: “And now, when Amulek had spoken these words the people began to be astonished, seeing there was more than one witness who testified of the things whereof they were accused, and also of the things which were to come, according to the spirit of prophecy which was in them” (Alma 10:12). This is one reason LDS missionaries go out two by two – they act as multiple witnesses of the truths of the gospel. Their witnesses are further fortified by the witness of the Holy Ghost, who carries the words of testament directly into the hearts of those present who are willing to hear. A testimony is belief or knowledge of truth and is most effectively shared by multiple witnesses. In order to share a testimony, it must first be gained. Testimonies are gained by seeking to know the truth through humble and honest prayer while diligently seeking to obtain knowledge from God. Testimonies are strengthened by living the principles of the gospel. Elder Richard G. Scott stated: “A strong testimony is the sustaining power of a successful life. It is centered in an understanding of the divine attributes of God our Father, Jesus Christ, and the Holy Ghost. It is secured by a willing reliance upon Them. A powerful testimony is grounded in the personal assurance that the Holy Ghost can guide and inspire our daily acts for good. A testimony is fortified by spiritual impressions that confirm the validity of a teaching, of a righteous act, or of a warning of pending danger. Often such guidance is accompanied by powerful emotions that make it difficult to speak and bring tears to the eyes. But a testimony is not emotion. It is the very essence of character woven from threads born of countless correct decisions” (Ensign, Nov. 2001, Scott; emphasis added). Let me repeat: “[A testimony] is the very essence of character woven from threads born of countless correct decisions.” A testimony is based on the goodness of our lives, of our characters, and our actions. Our testimonies are strengthened as we live in accordance to the principles and ordinances of the gospel. In fact, that is the surest way to gain a testimony! Live the gospel principles for which you strive to gain a testimony. If you want a testimony, act as if as though you have it and that action will help create the reality of it. If you want to have a testimony of tithing, pay it! If you want to have a testimony of Jesus Christ, keep His commandments. If you want to have a testimony of the Book of Mormon, read it, pray about it, and live the doctrines contained within. That is one reason we are taught in Alma 32 to “experiment upon the word.” As we test what God has told us, we can know of its truth. We rarely receive a witness when we seek not; testimonies are gained and strengthened through mighty prayer and righteous living. Sometimes – or most times – we must wrestle in prayer as we seek a witness of the truths of the gospel. For any who want to receive a witness of the truthfulness of the gospel Elder Scott offers His apostolic counsel: “Try reading the Book of Mormon because you want to, not because you have to. Discover for yourself that it is true. As you read each page ask, ‘Could any man have written this book or did it come as Joseph Smith testified?’ Apply the teachings you learn. They will fortify you against the evil of Satan. Follow Moroni’s counsel. Sincerely ask God the Father, in the name of Jesus Christ, with real intent, if the teachings of the Book of Mormon are true (see Moro. 10:3–5). Ask with a desire to receive a confirmation personally, nothing doubting…. You will then know that Jesus Christ lives, that Joseph Smith was and is a prophet, and that The Church of Jesus Christ of Latter-day Saints is the Lord’s Church. You will confirm that the Savior guides His Church through a living prophet. These truths will become a foundation for your productive life.” (Elder Scott, Ensign, November 2003). Thus, testimonies effect changes in our lives. A testimony is a foundation of faith upon which we anchor our actions and as such becomes the foundation for our life of covenant service to God. The prophet Joseph Smith saw in vision people who had received testimonies of Jesus Christ but who were not valiant in their testimonies. They were good people but people who did not live up to or partake in all the covenants required for exaltation. They received testimonies but did not take the additional steps required as disciples of Christ. These individuals, in Joseph’s vision, were unable to return to live with God again (see D&C 76:79). Being valiant with our testimonies includes sharing them with others. Such declarations are recorded in heaven: “Ye are blessed, for the testimony which ye have borne is recorded in heaven for the angels to look upon; and they rejoice over you, and your sins are forgiven you.” (D&C 62:3). I know of a group of youth who recently held their own testimony meeting using social media. They shared their testimonies with friends and strangers alike. In a world full of much filth and negativity, it was beautiful to see young men and women freely bearing their witnesses of Jesus Christ and the restored church. As they shared their testimonies, many of the youth were touched by the Spirit. In sharing their testimonies freely, they were following apostolic admonitions to share the gospel using the internet, social media, and whatever other means are available (see M. Russell Ballard, July 2008 Ensign). An important part of developing and strengthening testimonies is to develop and strengthen faith. Faith and testimony are intertwined – we cannot have one without the other. The word faith is often used colloquially as a synonym for trust, belief, or confidence. Understanding faith to be simply belief or trust does not encapsulate the real meaning of faith. The apostle Paul said: “Now faith is the substance [assurance] of things hoped for, the evidence [proof] of things not seen.” (Hebrews 11:1). Alma gave this definition of faith: “And now as I said concerning faith—faith is not to have a perfect knowledge of things; therefore if ye have faith ye hope for things which are not seen, which are true.” (Alma 32:21). A part of faith is hope or belief but faith is more than that. Thomas Hobbes explained: “But what (may some object) if a King, or a Senate, or other Soveraign Person forbid us to beleeve in Christ? To this I answer, that such forbidding is of no effect, because Beleef, and Unbeleef never follow mens Commands. Faith is a gift of God, which Man can neither give, nor take away by promise of rewards, or menaces of torture.” (Hobbes, Leviathan, iii. xlii. 271). “Faith is a gift of God.” We give the gift of our belief, hope, and trust to God. What He gives us in return is faith. Faith is a gift from God that is granted unto us in return for our belief and righteousness. As Paul wrote, faith is an assurance of things hoped for and evidence of things not seen. Faith is the evidence or proof of our belief. Faith isn’t the antecedent, faith is the consequent. Belief and good works are the antecedent. Alma further taught: “But behold, if ye will awake and arouse your faculties, even to an experiment upon my words, and exercise a particle of faith, yea, even if ye can no more than desire to believe, let this desire work in you, even until ye believe in a manner that ye can give place for a portion of my words. Now, we will compare the word unto a seed. Now, if ye give place, that a seed may be planted in your heart, behold, if it be a true seed, or a good seed, if ye do not cast it out by your unbelief, that ye will resist the Spirit of the Lord, behold, it will begin to swell within your breasts; and when you feel these swelling motions, ye will begin to say within yourselves—It must needs be that this is a good seed, or that the word is good, for it beginneth to enlarge my soul; yea, it beginneth to enlighten my understanding, yea, it beginneth to be delicious to me.” (Alma 32:27-28). If we are seeking a testimony of the gospel, if we are seeking or want to strengthen faith in God, we can plant what Alma called a seed in our hearts. This seed is the word of God, it is also the seed of faith. We do not create this seed – it is a gift from God – but our responsibility is to plant the seed and not cast out it out by our unbelief. We believe and trust and follow the Lord’s commands to nurture the seed of faith. As we do so, we are blessed with further evidence (namely, faith) as we see the seed grow and sprout and produce good fruit. Faith is not believing without evidence, faith is the evidence supporting our belief. Why it is important to recognize that faith is evidence (proof) is that many times we feel like we are acting “just with faith” or “in blind faith” until we receive proof – some big spiritual manifestation that will remove the need for faith. However, faith is the proof we are looking for. Faith is a gift from God. Faith comes of and by the Spirit of the Lord. Faith and testimony are core components of disciples of Christ. The apostle Peter provided a blueprint of a strait and narrow road, a path whereon disciples of Christ travel and become more like the Savior. “And beside [giving up sinful ways], giving all diligence, add to your faith virtue; and to virtue knowledge; And to knowledge temperance; and to temperance patience; and to patience godliness; And to godliness brotherly kindness; and to brotherly kindness charity. For if these things be in you, and abound, they make you that ye shall neither be barren nor unfruitful in the knowledge of our Lord Jesus Christ.” (2 Peter 1:5-8). First, we act with diligence. We cease our sinning, we repent, and we follow the teachings and commandments of Christ. This takes tenacity and perseverance. As we start to follow the teachings of Christ and His prophets, we are blessed with faith. Faith is just a start. We next add virtue to our faith. Virtue is goodness, it is chastity. It is being morally clean in all the meanings of the word moral. Once we are filled with virtue we can gain knowledge. So first faith, then virtue, then knowledge. Why is this order important? Nephi provides an answer: “O that cunning plan of the evil one [notice that Satan has a plan for us just as Heavenly Father has one]! O the vainness, and the frailties, and the foolishness of men! When they are learned they think they are wise, and they hearken not unto the counsel of God, for they set it aside, supposing they know of themselves, wherefore, their wisdom is foolishness and it profiteth them not. And they shall perish.” (2 Nephi 9:28). Without a foundation of faith and virtue (goodness or valor in living truth), knowledge has a way of fostering pride and sin; without a foundation of faith and virtue, knowledge profits nothing. Knowledge can be powerful and without a virtuous foundation, knowledge can be misused. Along this path to Christ – to diligence, faith, virtue, and knowledge we add temperance. Temperance is control, it is restraint. It is power over our appetites, passions, and desires. We learn and grow and understand the value and power of self-mastery. Part of learning temperance is learning self-restraint. Within the LDS Church we have Fast Sundays where part of our practice is to gain control over our appetites. We also are taught and given other reminders to be temperate in our physical appetites and passions. To temperance we add patience. We can be patient in the midst of afflictions; we can be patient towards others; we can be patient by living in the hope of Christ’s promised blessings. Life flows more smoothly when we have an abundance of patience. Next, we add to patience godliness. Godliness means having the characteristics and qualities of God – particularly holiness. Holiness means that we consecrate all we have to God and to His work. It means that we separate ourselves from and rise above the sins of the world living sanctified lives. It means, for Latter-day Saints, attending the temple and remaining true to the covenants we make there. Now, all these Christian characteristics so far have been primarily focused on the self. That’s only part of what the gospel is about; being a disciple of Christ affects our interactions with others. To be truly like Christ we serve others. In order to serve others as Christ did, we develop brotherly kindness. We recognize that each individual is a child of God. We are all children of God and are asked to treat one another as such. If we are godly, we can then develop a true brotherly kindness and strive to do good to all others, even those who do evil to us. Lastly, we add charity. The chief virtue is charity. This is the “pure love of Christ, and it endureth forever; and whoso is found possessed of it at the last day, it shall be well with him.” (Moroni 7:47). Charity is without end, it endures forever. Charity is much more than helping others, it is more than treating others well, it is a pure love that comes from God. Charity is a gift from God. It is a pure fruit from an everlasting tree of beauty and purity with preciousness above all else. The path to Christ and our Father in Heaven is clear but strait and narrow. The foundation of this path is built on faith, our testimony, repentance, keeping God’s commandments, and receiving necessary ordinances. As we are diligent, we can become more like the Savior, becoming filled with the pure love of Christ. We will be able to bless the lives of those around us and have a desire to bless the whole world. As we walk the path of faith, starting with a simple testimony and persevering on, we will feel the pull to share God’s love with those around us. This path of testimony is a covenant path. It leads from baptism through the temple unto life eternal. What begins as a simple witness turns into a life of consecration. We consecrate all we have to building the kingdom of God and serving God’s children. Recently, Pres. 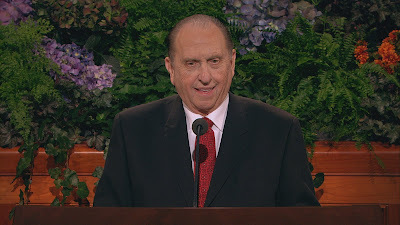 Monson has called for a renewed focus on hastening the work of salvation and rescuing those who are lost. A story from the Revolutionary War teaches the principle of rescue. On a bitter cold Christmas night the Continental Army, led by George Washington, made a bold maneuver against the superior forces of the British army. General Washington led his troops over the Delaware in what would prove to be a defining moment of the Revolutionary War and American history. The crossing of the Delaware took all night; it was a significant adversity. Severe winter weather blew and froze the troops all during the crossing and the following day. Even so, the poor weather was a mixed blessing – it made the crossing treacherous but it also masked the movements of the Americans. Even after crossing the icy river, surviving the danger of that maneuver, it was so frigid that there are reports of at least two soldiers freezing to death that night. John Greenwood was a member of the army; he served as a fifer but because of the circumstances, John the fifer became John the soldier when he was called to carry a musket during the upcoming assault. As the army marched on its way after crossing the Delaware, John Greenwood was exhausted like many others. During one break he sat down with the intention of going to sleep. The voice of the bitter cold enticed John, lulling him into a false sense of security. He was so fatigued that he didn’t care if he never awoke from his slumber. As he drifted off to sleep, a passing sergeant noticed John, roused him, and got him up and moving. This act saved his life. Had the sergeant not noticed the lowly fifer, had the sergeant not gone after a sleeping sheep, John’s life would have been lost. This story exemplifies the principle of stewardship in the gospel. All members of The Church of Jesus Christ of Latter-day Saints have responsibilities to other people. All are ideally called as visiting teachers or home teachers. Do we watch over others or do we leave them by the wayside to suffer the effects of their inaction? Cain asked a simple but condescending question of the Lord, “Am I my brother’s keeper?” (Genesis 4:9). Even though Cain’s reason for asking was neither honest nor of concern for his brother, whom he had just killed, it is a question we would do well to ask ourselves in honesty. Do we really see ourselves as our brothers’ and sisters’ keepers? The Samaritan could have walked by the beaten man but he stopped and helped. He might have been on his way to a business meeting or to a family gathering; maybe his fields needed sowing. Surely he was not less busy than those who did not stop. He took care of a man on the edge of death just as the Continental Army sergeant did for John Greenwood. It is our covenant duty we have as members of the Church to love others and watch over them – even when inconvenient, maybe especially when inconvenient. When we watch over others we might just save their lives spiritually or physically. We can participate in Pres. 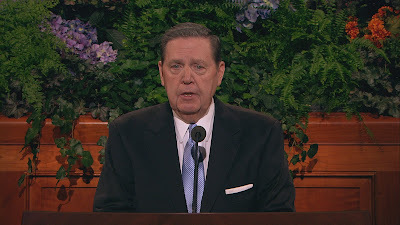 Monson’s prophetic priorities by participating in hastening the work of salvation and rescuing those who are lost by sharing our testimonies with those in need. May we develop and strengthen our testimonies and move onward and upward in supporting the work of the Lord by strengthening those in need. I bear my testimony that all can receive a witness of the truthfulness of the gospel. I bear witness of the reality and divinity of Jesus Christ. I bear witness that Pres. Monson is a prophet of God. In the name of our Lord and Savior Jesus Christ, amen. To testify is to declare a belief about, of, or in something. It is to declare a fact or a truth about something. It is to witness your knowledge of the veracity of something. The word testimony is a noun so someone has a testimony or can declare their testimony by testifying. The word testimony comes from the Latin word testis meaning witness. It is also related to the Latin words for three and stand, implying that the testis, or witness, stands as another (third) witness. We are taught in the Old Testament – testament is the same word as testimony – as well as the New Testament and Doctrine & Covenants that there need to be multiple witnesses to establish the truth of an accusation or declaration; this includes God’s word, which shall be established by multiple witnesses (two or three; see Deut. 19:15; Matt. 18:16; D&C; 6:28). It is in the bearing testimony of multiple witnesses that truth is established. Even the Godhead, though one in witness and purpose and glory, constitute multiple witnesses. When Jesus Christ was baptized, His Father bore witness to John the Baptist saying, “This is my beloved Son.” The Holy Ghost also descended like a dove to bear witness to John of the divinity of Jesus Christ. God’s pattern for testifying of His truths is well-established. When Alma and Amulek started preaching to the people in the land of Ammonihah, the people were astonished that two people bore witness unto them: “And now, when Amulek had spoken these words the people began to be astonished, seeing there was more than one witness who testified of the things whereof they were accused, and also of the things which were to come, according to the spirit of prophecy which was in them” (Alma 10:12). This is one reason LDS missionaries go out two by two – there are multiple people to bear witness, to share their testimony of the truths of the gospel. 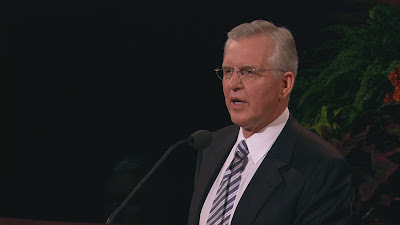 In the October 2001 General Conference Elder Richard G. Scott gave this powerful teaching about testimony: “A strong testimony is the sustaining power of a successful life. It is centered in an understanding of the divine attributes of God our Father, Jesus Christ, and the Holy Ghost. It is secured by a willing reliance upon Them. A powerful testimony is grounded in the personal assurance that the Holy Ghost can guide and inspire our daily acts for good. A testimony is fortified by spiritual impressions that confirm the validity of a teaching, of a righteous act, or of a warning of pending danger. Often such guidance is accompanied by powerful emotions that make it difficult to speak and bring tears to the eyes. But a testimony is not emotion. It is the very essence of character woven from threads born of countless correct decisions” (Ensign, Nov. 2001, Scott; emphasis added). Let me repeat: “[A testimony] is the very essence of character woven from threads born of countless correct decisions.” A testimony is based on the goodness of our lives, of our characters, and our actions. Our testimonies are strengthened as we live in accordance to the principles and ordinances of the gospel. In fact, that is the surest way to gain a testimony! Live the gospel principles for which you strive to gain a testimony. If you want to have a testimony of tithing, pay it! If you want to have a testimony of Jesus Christ, live His teachings. If you want to have a testimony of anything else, do it. That is one reason we are taught in Alma 32 to “experiment upon the word.” As we test what God has told us, we can know of its truth. I have not forgotten that feeling, even 8+ years later. That was one of the singular moments in my life. As I wrote back as a missionary, I have always known Joseph Smith was a prophet. That’s not something I have ever doubted. My testimony of his calling as a prophet was based on years of going to church, reading the scriptures, praying, and learning about him. I saw and partook of the fruits the Lord restored through him to the earth. However, before that time I had not had a powerful singular experience like the one I had that evening. That does not mean I did not have a testimony before – I did – but it was strengthened considerably by that experience. What I did not write was how I had been reading my scriptures and praying with a sincere earnestness that I would receive a witness of the gospel. I had not just received that witness out of the blue, although that can happen; testimonies are most often gained through mighty prayer and righteous living. Sometimes – or most times – we must wrestle in prayer as we seek a witness of the truths of the gospel. For any who want to receive a witness of the truthfulness of the gospel Elder Scott offers His apostolic counsel: “Try reading the Book of Mormon because you want to, not because you have to. Discover for yourself that it is true. As you read each page ask, ‘Could any man have written this book or did it come as Joseph Smith testified?’ Apply the teachings you learn. They will fortify you against the evil of Satan. Follow Moroni’s counsel. Sincerely ask God the Father, in the name of Jesus Christ, with real intent, if the teachings of the Book of Mormon are true (see Moro. 10:3–5). Ask with a desire to receive a confirmation personally, nothing doubting. There has to be an explanation of that book you can hold in your hand. I know that you can receive a spiritual confirmation that it is true. You will then know that Jesus Christ lives, that Joseph Smith was and is a prophet, and that The Church of Jesus Christ of Latter-day Saints is the Lord’s Church (see introduction to the Book of Mormon, especially the last paragraph). You will confirm that the Savior guides His Church through a living prophet. These truths will become a foundation for your productive life.” (Elder Scott, Ensign, November 2003). I add my testimony to his that all can receive a witness of the truthfulness of the gospel. We can all know that Joseph Smith was a prophet, that the Book of Mormon is God’s word. We can know that Jesus is Divine, the Only Begotten Son of God in the flesh, our Savior and Redeemer. We can know that God has a plan for each of us and that plan is to return to live with Him again and to someday see Him as He really is. I know these things and testify of them in the name of Jesus Christ. One of the defining moments in my life was when I was able to attend the temple and receive my own endowment. That’s a day I will never forget – it has eternal significance for me and for my family. I urge you youth to ponder about the importance of the temple and prepare yourselves to enter its doors. Strive with all your energy to keep the Spirit with you in all you do. It will provide the strength and peace needed to face and overcome the temptations of the adversary. The small and simple actions of prayer and reading the scriptures provide great strength. “By small and simple things are great things brought to pass” (Alma 37: 6). Reading your scriptures and praying regularly will help you fight temptations and stand victorious. You are very busy now but life only becomes more hectic as you get older; if these things are not priorities in your lives now it can be hard to make them priorities later. My family recently experienced a number of events that brought to our minds the importance of temples and of the sealing of families together for eternity. At the beginning of May 2008 my family and I attended the funeral of my grandmother Beverly. Her spirit slipped out of her mortal frame into the eternal realm and her body was laid in the ground. Her passing was not unexpected but the pain of separation for us was acute. That event was followed by ones of great joy. The day after the funeral my brother was sealed for time and all eternity in the House of the Lord. Two lives were joined as one by the priesthood of God in the holy temple. A few days later my sister had a baby who came from God, “trailing clouds of glory” (W. Wordsworth, Ode: Intimations of Immortality) to join a family who had been sealed together in the temple. Shortly later, my family had the funeral for my grandmother Maxine, who passed away at the end of May. Her death was also not unexpected but again, the pain of separation was acute. Her husband – my grandfather – then passed away only 11 days later. Within the space of just one and a half months, my family experienced a death, a marriage, birth, a death, and another death. It’s as if the Plan of Salvation was compressed into one month for my family. At times such as these our minds often turn to eternal matters as we experience these emotions of sadness and joy. Three of these recent events were sad because they involved separation from loved ones; they were events signaling the end of mortal life. However, through the blessings of the temple, these separations are only temporary. My grandparents merely passed from one stage of their existence into another through the door of death. While there is sorrow on our part, there is also joy knowing that they are reunited with other loved ones who have gone on before. We are also strengthened by the knowledge that at some point in the future we will all be reunited as families. The other two recent family events brought joy unto us; they signaled the start of new life and lives. I’m grateful for the knowledge and blessings of eternal families – this is the greatest blessing of the temple.